Winter Relief, Poetry Workshops, and more! We hope you are staying warm in these winter months! Read on for highlights from the first two months of 2019. Thank you as always for your consistent support - everything we do is possible because of you! Make a Donation to The Syria Fund! 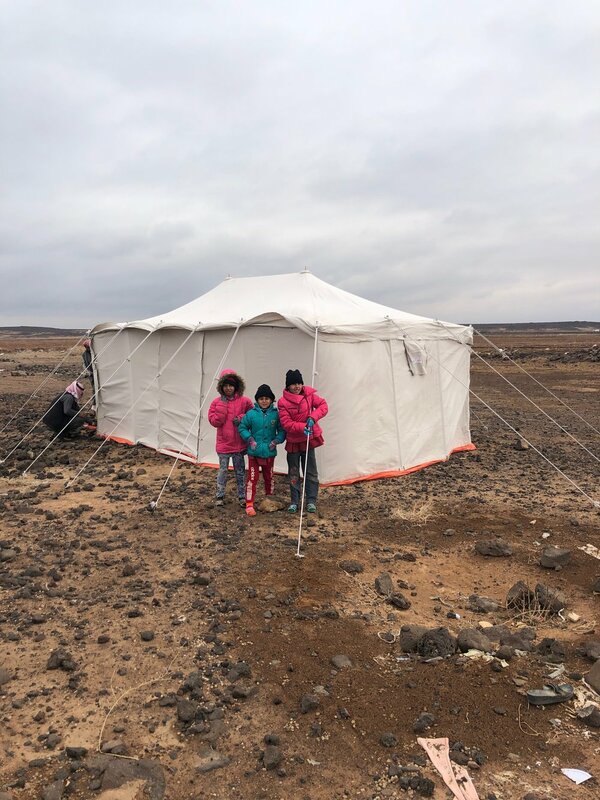 A New Tent: In January, an intense winter storm hit Azraq with freezing temperatures and gale-force winds. A Jordanian family with four young children living in a tent in a rural desert area literally lost their home in the middle of the night when the winds ripped the tent from under them. TSF and our local partners at the South Azraq Women’s Association responded immediately. Police picked up the family from the desert and brought them to one of our classrooms that we quickly converted into a shelter for the night. In the morning, we brought warm jackets and other outdoor clothes for the children. We purchased a new sturdy tent and carpet for the family. Within hours, the tent was properly set up and the family was back on their feet. Fuel & Wheelchairs: TSF additionally distributed fuel for gas heaters to over 30 families and brought wheelchairs to 5 individuals in need this month. Special thanks to our donors Adnan and the Sunrise Rotary Club for supporting these efforts! Part 1: Poetry - Students were introduced to poetry composition and each student wrote their own poem beginning with “Home is…”. Part 2: Artistic Interpretation - The poems were translated and exchanged with the other student group. Our students in Jordan read the Geneva poems and created drawings reflecting the words they read. The students learned from each other's poetry that even though they come from such different circumstances, they found they had more in common than what sets them apart! Part 3: Mural Creation - Next week, we will conduct the third part of the workshop where students will create a large-scale mural using elements from their drawings! This summer, we will share the mural in a moving exhibition in Jordan and other areas! With support from the Blossom Hill Foundation, The Syria Fund will be opening up the first ever early education program in Azraq at our new campus this Spring. To create a program inspired by Montessori teaching methodologies, we partnered with the Modern Montessori School (MMS) in Amman, Jordan to host a 180-hour teacher training program for 11 local trainees from Azraq. The training provided both theoretical and hands-on learning opportunities at the school in Amman. Through MMS, we’ve acquired an Arabic-language Montessori curriculum and when our school opens this Spring, we will host 30 children ages 3-5 in this innovative setting! Make sure to follow us on Facebook & Instagram (@thesyriafund) to stay up-to-date on our activities! We appreciate everything you do to support the communities we serve. Introducing The New Azraq School! After more than 7 months of work, we are proud to wrap up 2018 with the completion of our new campus at The Azraq School! Thanks to our partners Emergency Architecture & Human Rights (EA-HR) and with support from HRJ, Nashmyat al-Badiya and our extremely generous donors, we have successfully completed the construction of a new education facility for The Azraq School. This incredible new campus consists of 6 classrooms, including a library and an IT room, a kitchen, three toilets, one outdoor communal seating area with shade, and a sports court. Beginning in early 2019, we will open this campus to host more than 250 Syrian and Jordanian children with enriching programming including classes in Arabic, Math, English, Art, Music, IT, and more. The facility will create jobs for more than 20 adults including teachers, support staff, cooks, and more! 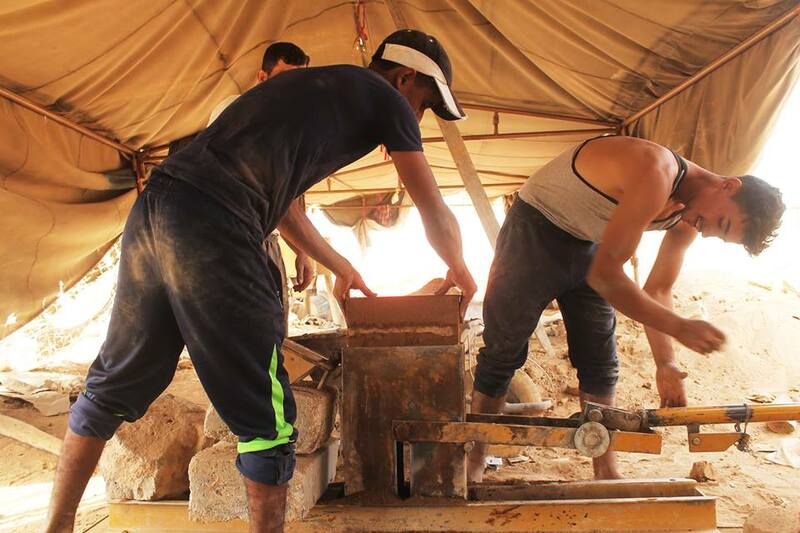 The construction process began in June and consisted of a huge training component where local workers were taught how to build compressed earth bricks using local materials found in the Azraq area. 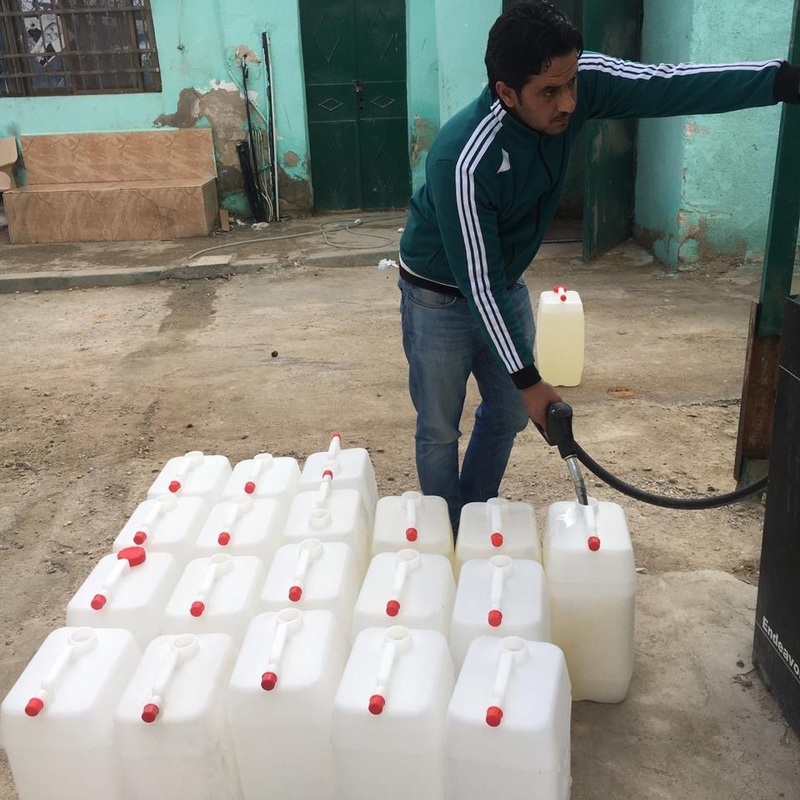 The program trained and employed nearly 55 local workers (both Syrian & Jordanian), and indirectly supported nearly 350 members of their families. 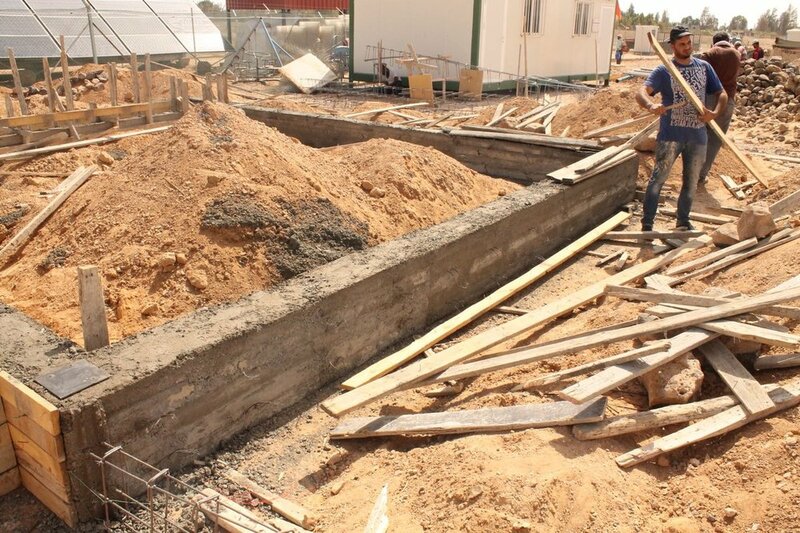 Throughout the summer, 22 international volunteers came to Azraq to work alongside the architects and local workers. Intricate building details include Catalan vaulted ceilings in the downstairs rooms, domed upstairs rooms with skylights and windows throughout, Mashrabiya woodwork, and beautiful brick work throughout the facility. Next up, we'll be furnishing the classrooms, hiring additional staff, and registering new students! We are so excited to bring these rooms to life! Interested in getting involved? Consider making an end-of-year donation to help support this program! Your donation will provide classroom materials, support teacher salaries, and provide enriching and innovative programming that gives children the education that they deserve. Thank you for your consistent support and Happy Holidays! 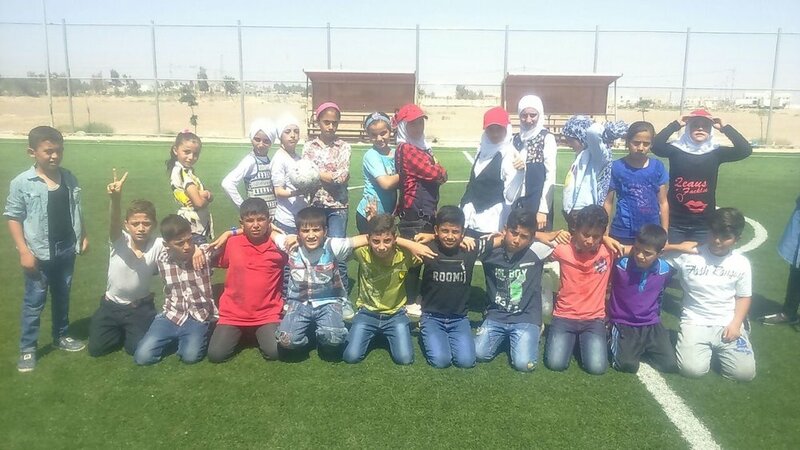 Summer is in full swing for our beneficiaries in Jordan! Check out updates below and thank you as always for supporting The Syria Fund's important work for refugees in Jordan. 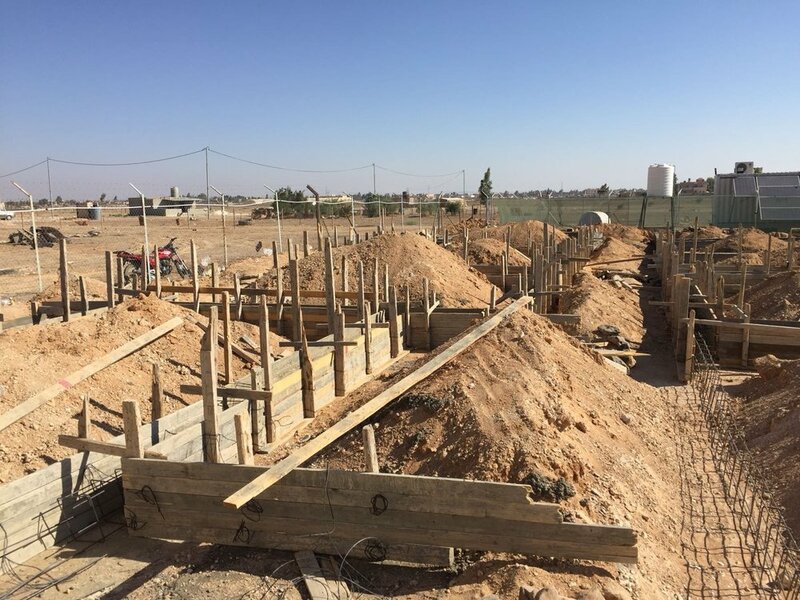 This summer, we are thrilled to partner with the European-based NGO Emergency Architecture and Human Rights (EA-HR) to build a new campus for The Azraq School! EA-HR committed to build 100 classrooms for refugee children and, as part of this plan, they are constructing a new campus for us less than a mile down the road from our current school. 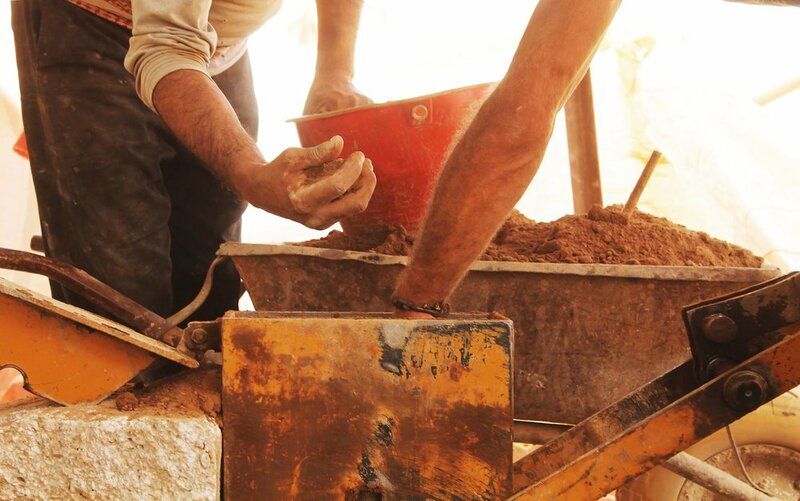 EA-HR hired a local construction crew of Syrians and Jordanians and is training them, while they work, in sustainable building techniques. The new campus (Campus B) will include four classrooms, an IT lab, library, kitchen, and a sports field! Upon completion, it will host up to 200 Syrian and Jordanian children and youth and employ nearly 20 adults for the upcoming school year! A special thank you for the generosity and partnership of the Moosa Family, our partners at EA-HR, HRJ and SAWA, WeWork NY, and everyone else who has made this expansion a reality! Many more updates to come throughout the summer so be sure to like us onFacebook for pictures, videos and more! A short walk up the road from the construction site, the summer program on Campus A is in full swing. Special classes, activities, games and more are offered in a camp format to our more than 110 students every day! Recent activities have included: gardening, soccer club, art and music, IT presentations, reading in the library, and relay races! Our education programs are 100% donor supported! Consider setting up a recurring donation today to support teacher salaries, school supplies and more! Donate to tsf's Education Programs! Throughout Ramadan and the summer, The Syria Fund has continued our ongoing food and humanitarian aid distributions. 150+ food boxes were distributed to families in need throughout the month of June. With our partners, we delivered fresh chickens along with non-perishable items for families in advance of the Eid holiday. 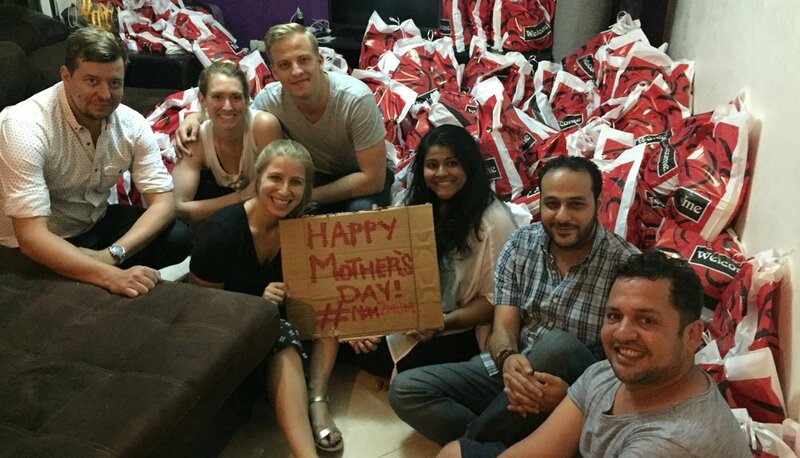 Our successful Mother’s Day campaign raised money to bring essential hygiene kits to 100+ moms. As always, we will continue to supply food, hygiene, and other critical items to families in need across Northern Jordan. Donate to our Humanitarian Aid Programming HERE! 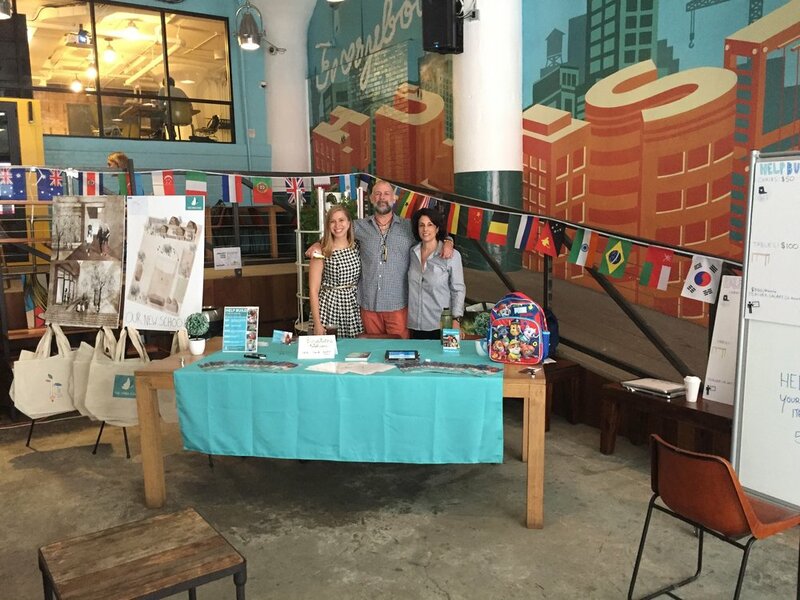 This World Refugee Day, The Syria Fund teamed up with WeWork for two days of fundraising activities in New York City. 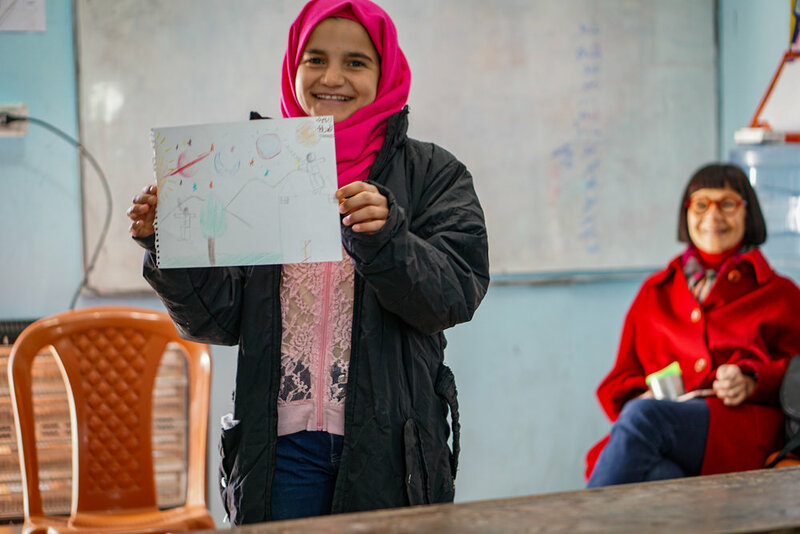 Across two different WeWork locations, the TSF team shared the story of The Azraq School's expansion and raised money to furnish the new classrooms! Thanks to the entire WeWork community for coming out and showing that you #StandWithRefugees! If you’re interested in getting more regular updates from The Syria Fund, make sure to follow us on social media! Haven’t seen our 2017 Annual Report? Check it out HERE! Thank you for all that you do to keep our programs going! Ramadan Kareem From All Of Us At The Syria Fund! From our students at The Azraq School and our entire team at The Syria Fund: Ramadan Kareem! May your month be filled with happiness, love, and peace with family and loved ones. We are proud to present The Syria Fund's 2017 Annual Report! Read on to learn about our major 2017 accomplishments and where The Syria Fund is heading in 2018. As you read about The Syria Fund's major accomplishments in 2017, please consider setting up a monthly donation to The Syria Fund. Your monthly contributions allow us to better plan our humanitarian aid distributions and create new spaces for children in our education programs. Everything we do is possible because of your generous support! Thank you to each and every one of you for taking action and contributing money, time, and skills to make a real difference for the many refugee families we serve. Spring Updates: A New School, Music Week and more! Happy Spring! The Syria Fund has been hard at work making major expansions to our education programs, aligning them more closely than ever with the official Jordanian Response Plan, and reaching out to different groups, like teenagers and young adults, to broaden our impact! Read on to see what we've been up to thanks to your support. Over the last 6 months, The Syria Fund team has been working with the Jordanian government to register The Azraq School as an approved education program within the Official Jordan Response Plan to the Refugee Crisis. 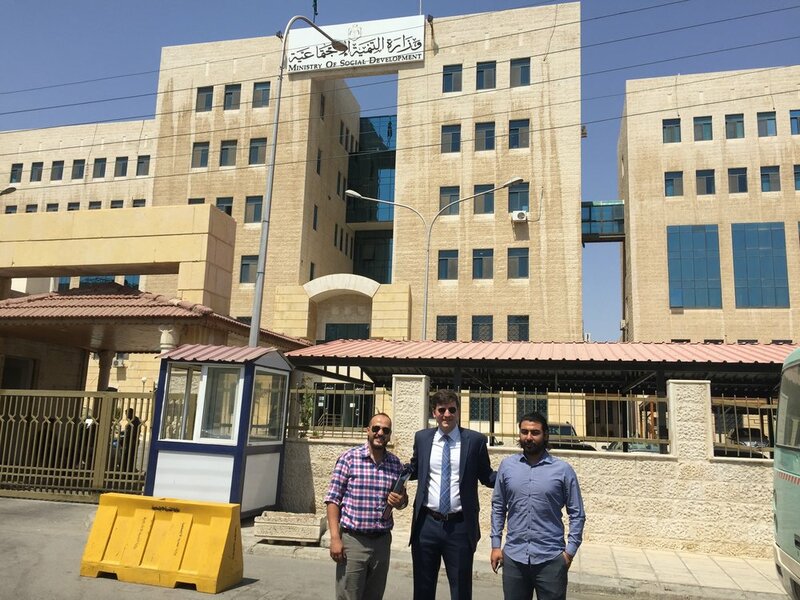 We received approvals from the local ministry of commerce in Zarqa Governorate (the governorate for Azraq), the Ministry of Planning, Ministry of Education, and finally the Prime Minister’s Office! These approvals will allow us to expand the program, hire more teachers and serve more students, and benefit from the resources and support from the Ministry of Education. Since the program is a joint project with our local partner SAWA, registration will also enhance their capacity to serve the community of Azraq. We are so proud to share with you this exciting development! 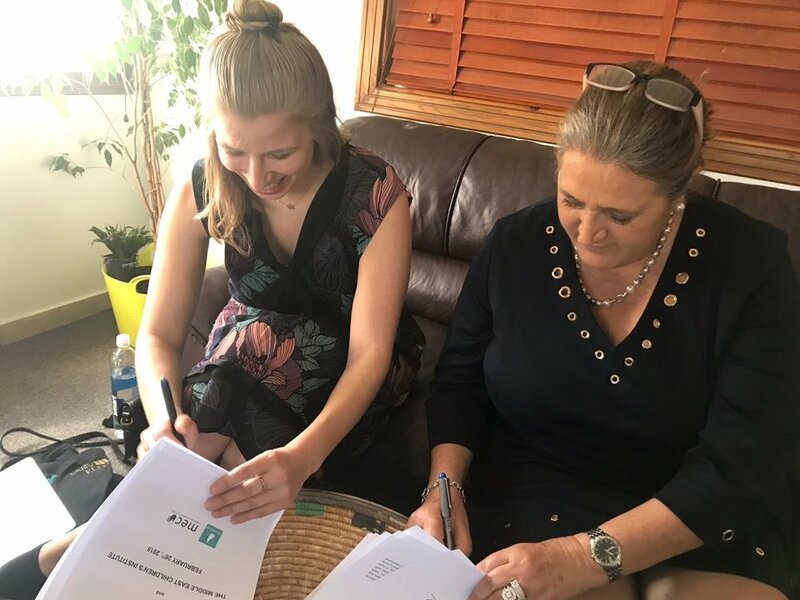 TSF Director Lexi signed on the dotted line this month to collaborate on a new education program with our longtime partner the Middle East Children’s Institute (MECI). 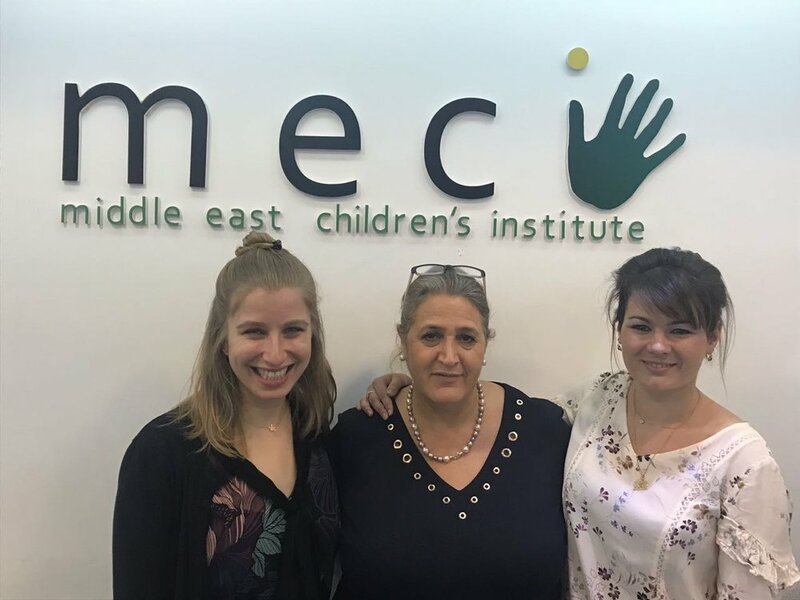 We’ll work with MECI to bring their proven remedial education and psychosocial support curriculum to 150 vulnerable children in Northern Jordan. We look forward to launching this program in the coming months and expanding our mission of making sure every child has the education they deserve! Special thanks to the Kathryn B. McQuade Foundation, the Giuliani Foundation for the Arts, Travel with Purpose, Students for Refugees and the many individuals who donated to bring this program to life! TSF was proud to host S’Cool Sounds Director Nina Stern for the 3rd Annual Songs for Syrians Music Week at The Azraq School! Over the course of a week, students immersed themselves in music and art with courses in recorder, percussion, singing (in Arabic and English! ), and drawing. The program culminated in a final performance in front of 30+ parents and community members. Music has become an integral part of our school community and our students love to express themselves through the arts! Look out for a video recap in the coming weeks! 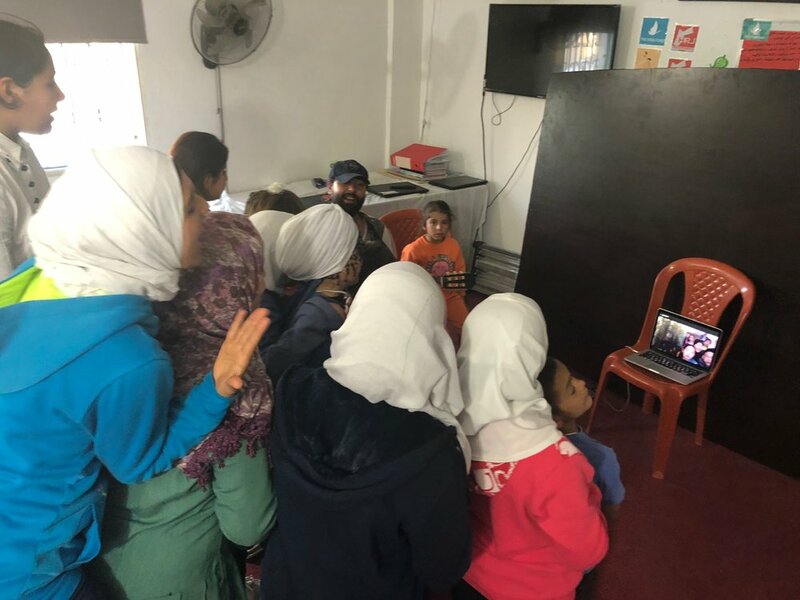 This month, Azraq School students participated in a Skype exchange with students at the Dixon Hall Music Camp in Toronto, Canada. The kids exchanged songs, asked each other questions, and learned about each other’s customs. It was an amazing experience for all! Read more about the exchange HERE in the Toronto Star. In addition to our work with students ages 6-14 at The Azraq School, we are working to expand our efforts to reach other vulnerable groups including teenagers and young adults. The first stage was a percussion club pilot program targeting teenage boys during our music week. High school drop-out rates among Syrians in Jordan are high and several of the boys who participated in this pilot program have completely stopped attending school. Bringing them together around percussion helped them focus on communication, rhythms and concentration - valuable skills they can carry over to other areas in their lives. At the end of the program, the boys had made tremendous progress and were confident enough to successfully perform in front of 30+ community members! Stay tuned for more updates as we expand our presence through The Azraq School to reach teenagers and other community members who need it most! 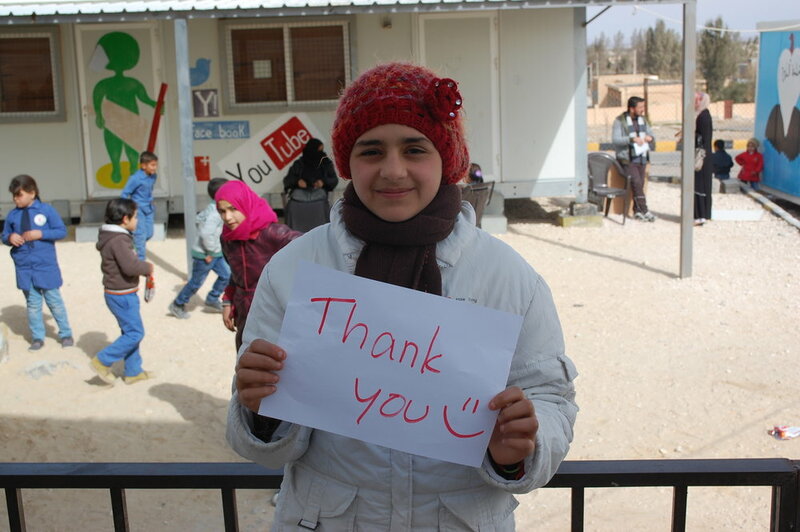 Thank you for continuing to support The Syria Fund's work to reach vulnerable refugee children and families in Jordan! Everything we do is possible because of your generosity. Consider continuing to support our work by setting up a monthly recurring donation today! Lastly, Follow Us On Facebook to keep up-to-date on our latest activities and goings-on! From #GivingTuesday to the end of 2017, you donated to bring warm winter essentials to families across Jordan. We've been hard at work putting your money where it matters! Check out all we've done so far. 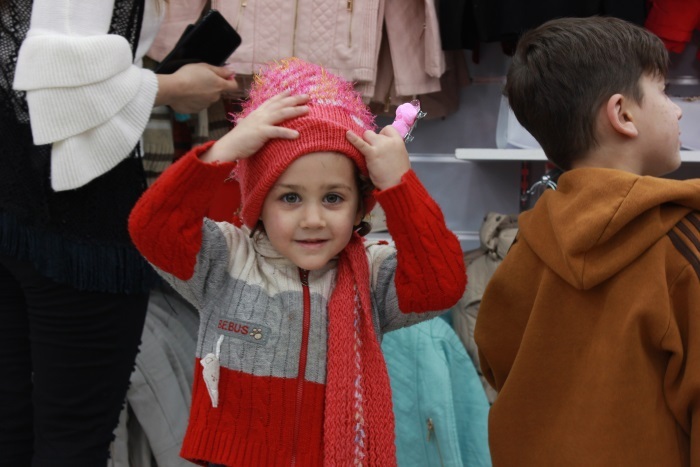 On December 21st, we provided winter coat vouchers to 177 children in East Amman. The voucher program allows the kids and their parents to visit our local vendor to try on their new winter coats, ensuring a good fit and no waiting in line. The kids were so excited to wear their coats home! TSF is distributing heaters and fuel vouchers to families throughout the winter months to ensure their homes are properly heated during the freezing temperatures, rain and snow (but hopefully no bomb cyclones!). We're continuing our winter emergency aid efforts through the season. Help support this important work by making a donation today! 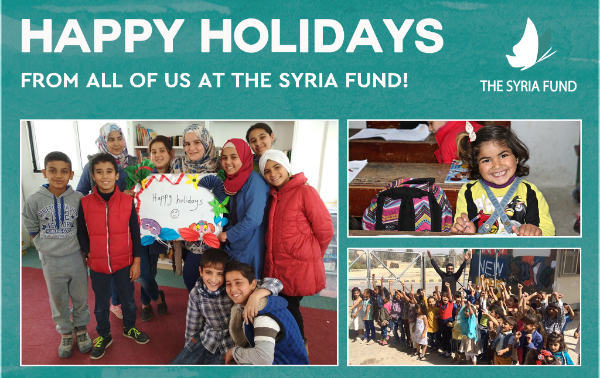 Happy Holidays From The Syria Fund! Our programs can't run without your support! Let's keep up the good work in 2018. Please consider giving to The Syria Fund as part of your end-of-year giving. The holiday season has arrived! As we gather this week with family and loved ones, we want to thank all of you for the incredible support that you've given to The Syria Fund this year. With your generosity, we've given 100s of Syrian refugee children an education for another year, instructing them daily in reading, writing, math, science, music, art and more. We've distributed thousands of food boxes, hygiene kits, and other essential supplies. And we've supported partner programs that reach vulnerable men, women and children across Northern Jordan, giving them the support they need in these difficult times. You made all of this possible! Look out in the coming months for our 2017 Annual Report for more details. Heading into Winter, The Syria Fund is teaming up with our friends at the Collateral Repair Project in Jordan to bring essential winter supplies to families. With below-freezing temperatures, many refugees lack warm clothes and heaters to stay safe and comfortable in the winter months. This #GivingTuesday, will you give $50 to keep a refugee family warm, clothed and fed? Hiba lives in a 3-bedroom apartment with ten other people, including her two children. “There are holes on our ceilings and walls, and we can’t even use one of our rooms because the rain comes through,” she says. 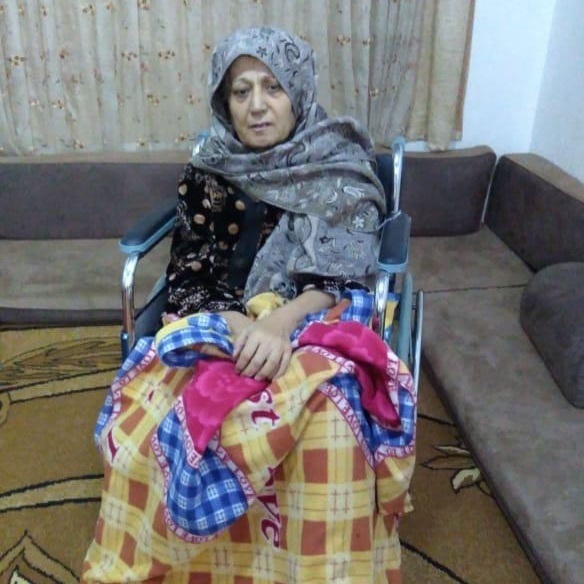 The war in Syria hit her family especially hard, “We lived near Homs and when the army came they took men and women. The army took my husband to prison where he was tortured and killed.” They have just six blankets for the 11 members of the household, and are extremely grateful for the heater that they just received. It is only with your support that refugees like Hiba and Jamal get the supplies they need! The Syria Fund supports thousands of refugees and other vulnerable families like them across Jordan. Thank you for supporting our important work. We wish you a very Happy Thanksgiving! Watch: this Spring, The Syria Fund brought two days of music-making fun to Syrian and Jordanian students in Sahab, Jordan. Here, they learn and perform a classic American tune. 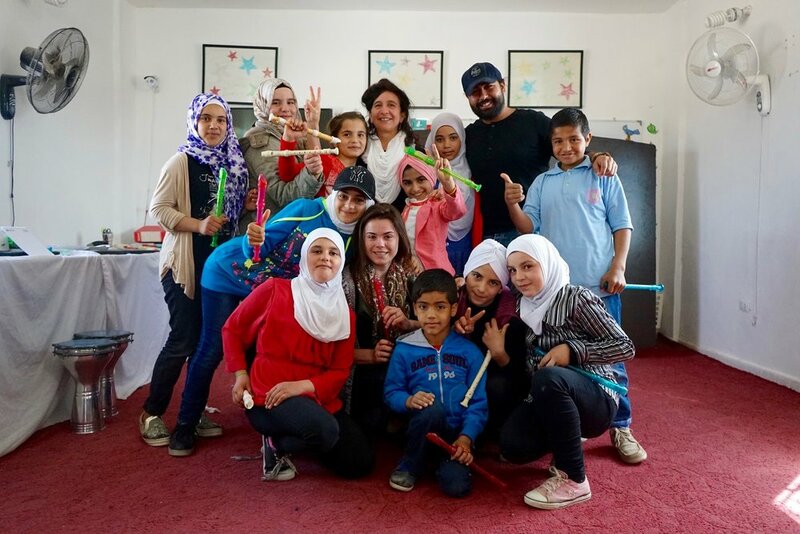 The Syria Fund partnered with S'Cool Sounds and the Middle East Children's Institute (MECI) to host two days of music making in Sahab, Jordan. We introduced the classic American tune "hambone" and had the students learn the rhythm and recorder melody, and add their own lyrics! In the end, they performed the piece for family and friends on stage! Like Us On Facebook To Keep Up With What We're Doing! Updates from Jordan: New School Year, New Updates! Happy October! The TSF team is back from an extremely productive trip in Jordan with tons of updates to share! Read on to learn more. New School Year, New Backpacks! The new school year started in the beginning of September and our students are excited to be back in the classroom! This September, TSF made sure that nearly 500 children had new backpacks filled with essential school supplies to start the year off right. We held an all-staff meeting at The Azraq School to discuss teaching methods, our new employee handbook and updated contracts. TSF is rolling out new evaluation models this semester, and the teachers are working on establishing committees, student clubs and more. We're committed to supporting the Jordanian Government's official Refugee Response Plan by ensuring that our programs align with Jordan's key priorities and support host communities. 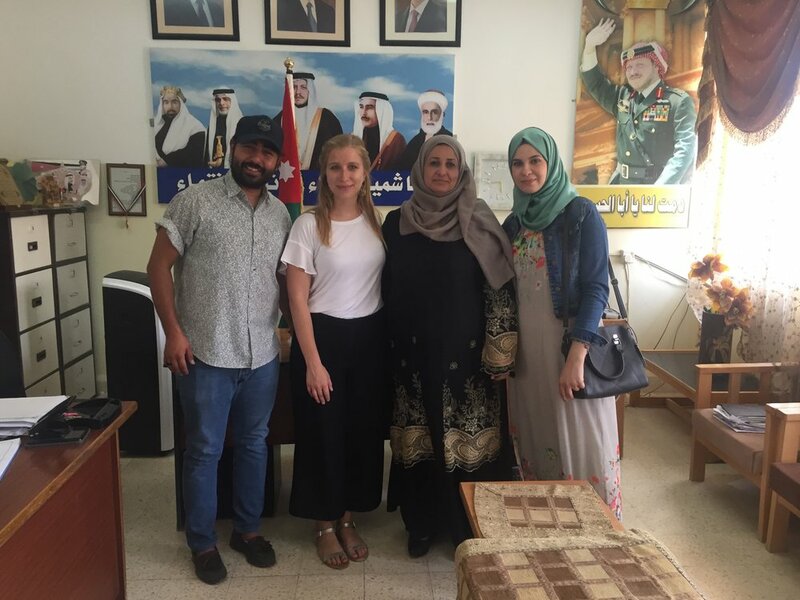 Our team recently spent time with the Ministry of Social Development where we hope to create long-lasting relationships with officials working in our field! TSF continues our regular work of distributing essential items like food and hygiene products. In September alone, we provided 550 food and hygiene packages to families across Northern Jordan through our partnership with The Annenberg Foundation. We're now gearing up for winter and will be organizing distributions of blankets, heater and warm winter clothes. 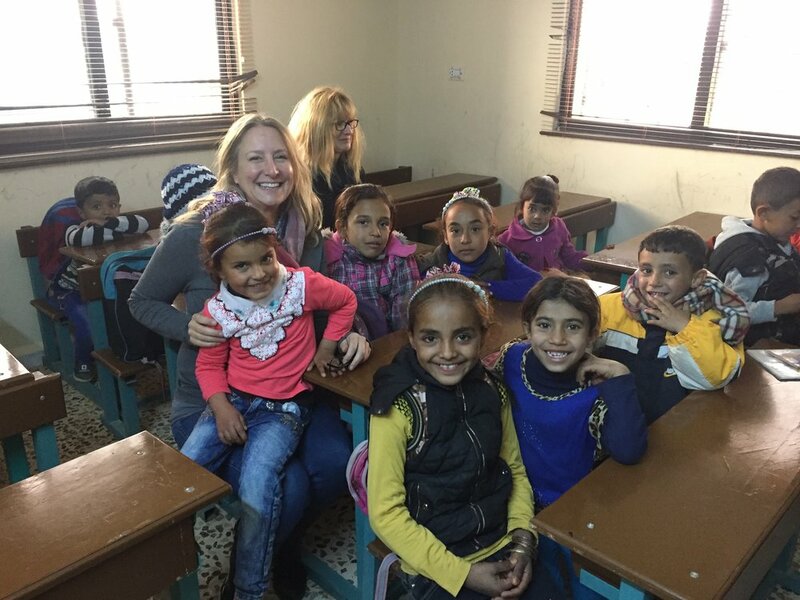 Jordan is making immense strides to help Syrian children enroll in formal education. In fact, today, nearly all of the students at The Azraq School also attend public school in the afternoons as part of the newly established second-shift system. But there is much work to be done. The second shift is only two hours per day and we know that our students need so much more. That's why we've been collaborating with the local school principal to assess our students' strengths, weaknesses, and places where we can continue to fill in any gaps through The Syria Fund's academic enhancement programs. The last month was filled with meetings, contracts, form creations and more. We are thrilled to be starting the new school year off on the right foot and that meant a lot of work! But we made sure to spend quality time with the families we serve as well. Spending time with our community, sharing meals and swapping stories is an essential part of what we do and our relationships get stronger by the day! The families we serve have lost so much over the last 6 years, but they find the strength to carry on through community and family bonds. In that, we find so much hope for the future! The end of the year is rapidly approaching and we hope that you'll consider supporting The Syria Fund as part of your end-of-year giving! We're expanding our education programs and continuing our essential basic needs distributions. As always, we're committed to keeping overhead as low as possible to ensure that your donations go exactly where you intend! Please consider making a donation today! Updates From The Ground -- Donations In Action! Eid Mubarek and Happy Labor Day Weekend! We can't believe how quickly the summer went by. Our summer program at The Azraq School just wrapped up and we're gearing up for the start of the formal school year. We've continued our humanitarian aid efforts throughout the summer and our US team is on their way to Amman TONIGHT! Check out all of our updates below and help us keep up the good work by setting up a monthly donation! Make A Monthly Donation To TSF! 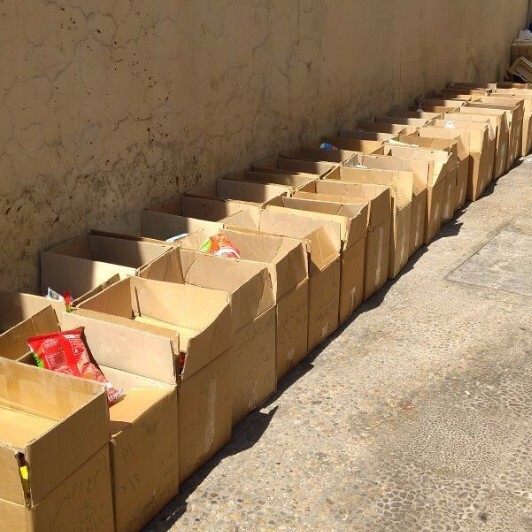 Today is the first day of the Eid Al'Adha holiday in Jordan and we've been hard at work prepping 550 food and hygiene packages to be delivered to families in need for the holiday. Many thanks to the Annenberg Foundation for making this initiative possible! 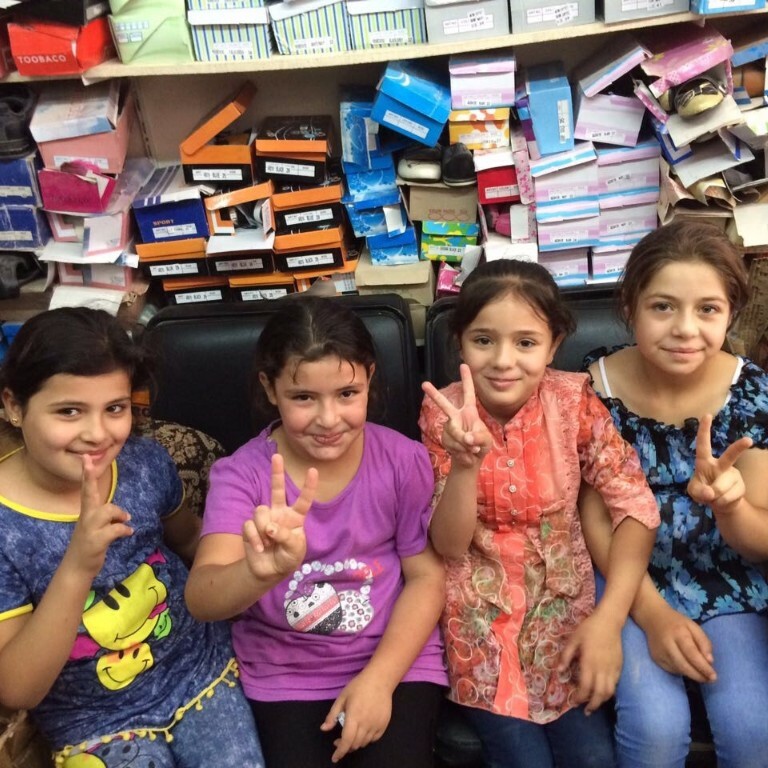 The Eid holiday often means new clothes and shoes for families. 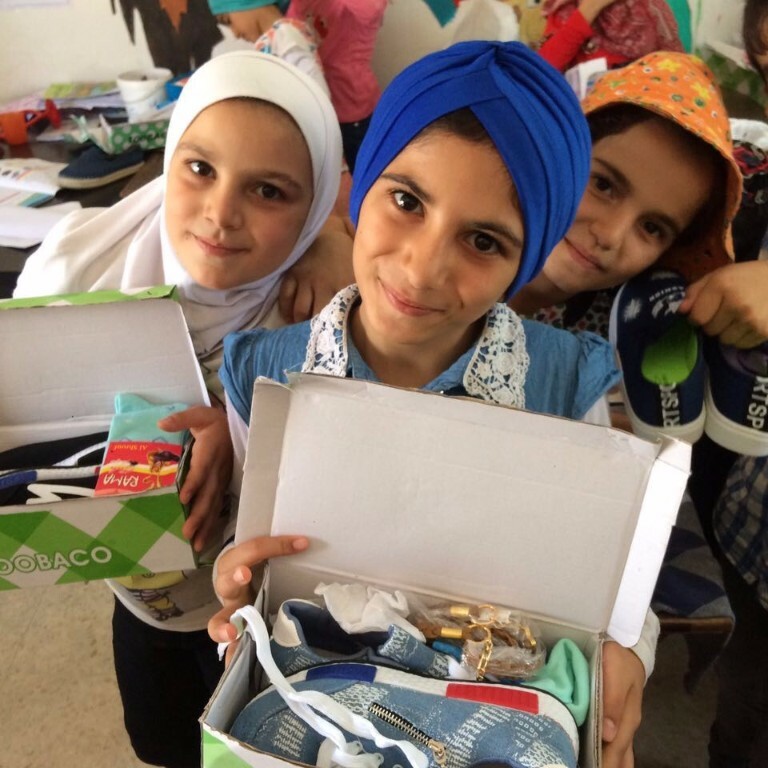 But these luxuries are hard to come by for refugee families, so the community from the Al Faris International School in Riyadh came together to give 160 kids new shoes! 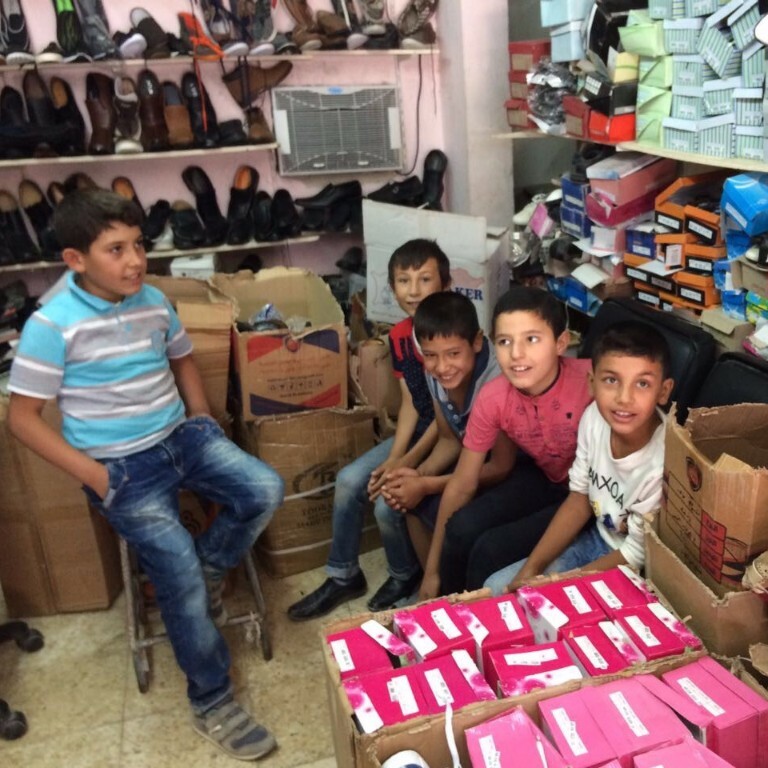 Our team took kids in groups to a local shoe store to have them pick out and try on their new kicks. What an amazing experience and gift for them! We are excited to host actress and dancer Erin Segal at The Azraq School for a 3-week theater workshop this month! Students will learn the basics of theatrical expression, the components of storytelling and they will write their own one-act plays. At the end of the workshop, we'll host a live reading for their families and community members. Stay tuned for more updates on this exciting program! TSF Founders Lexi and Demetri are off to Jordan for a few weeks tonight. They'll be meeting with our partners, checking in on projects, and working on some very exciting education program expansions that we'll provide updates on as soon as we can! Make sure to Follow Us On Facebook and On Instagram to see what they are up to. As always, thank you for your incredible support. Everything we do is only possible because of the generosity of others! When we aren't the ones suffering, it's easy to turn our backs on others. But if we don't help each other, what will become of us? This is not about politics or beliefs- it's about being human. I was supposed to go to California this summer. In fact, I'd been looking forward to surfing some of the best beaches in the United States and hanging out with friends there for over a year. But in June, I watched The White Helmets, a documentary about the Syrian Civil War, and it changed everything. The film had opened my eyes to the refugee crisis and made me want to do something so badly. It was impossible now for me to just have fun all summer when there were so many things to be done to help others. I dove into researching every aspect of the war, watching countless videos and reading numerous articles. I discovered that over a million refugees had fled to the neighboring country of Jordan, most of them not even living in refugee camps but rather, in urban areas under varying conditions. I told my dad everything I'd learned and told him that we had to go to Jordan. He listened carefully and thought it was a good idea, but told me it had to be either Jordan or California, not both. That was the easiest choice I'd ever had to make. I discovered The Syria Fund through Instagram and reached out to the cofounder, Lexi. She was incredibly nice and helpful from the start, and I'm lucky to know her. I met with her in NYC in late June, and was so inspired by her. Lexi had lived in Damascus before the war and started this non-profit organization in hopes of helping the Syrian people who had made her feel so at home years ago. The Syria Fund constantly supplies refugee families who need financial help with food and other critically-needed supplies. They also started two schools in Jordan that allows Syrian kids to continue their educations and can keep learning without letting a war put their futures on hold. Lexi made it possible for me to visit one of the schools, and we worked out all the details together. Check them out here ! In mid-July, I finally embarked on this life-changing trip to Jordan, accompanied my dad, sister and grandma. From the moment I stepped foot there, I felt at home. It's safe to say that it is the one country that completely stole my heart. For the first few days, I was a tourist visiting Petra, the Dead Sea and Jerash, but the day of the school visit quickly arrived. My family and I were in Amman on that day, and we drove over early to pick up Owais, one of the school's teachers, at his house. We all chatted and got to know each other before hitting the road for Azraq. Owais was so kind and acted as our tour guide for the day. He's a music teacher, and is very good at what he does. We gradually left the bustle of the capital for gaping fields of dried grass. The number of cars on the highway slowly began to drop, as Azraq is a pretty isolated city in Northern Jordan. We passed a military base and several Syrian border signs on our way, signifying how close we were to the war-torn country. We also passed Azraq Refugee Camp- the second-largest refugee camp in Jordan and home to over 30,000 refugees. I had chills down my spine as I saw the thousands of makeshift homes and white UNICEF tents. It's one thing to see refugee camps on TV and to be so far away and sheltered that you don't give it another thought, but being right in front of them was a whole other story. I was witnessing a place of broken families and lost dreams. Not long after passing the camp, we pulled up at the school. It was such a cute little place, with about 5 different caravans that made up different classrooms. Inspirational phrases and pictures were painted on the caravans, and each one was meant for a different grade. There was a little playground and a mini library as well. From the moment we arrived, I had kids running up to me and hugging and kissing my cheeks. They were so excited to see us! 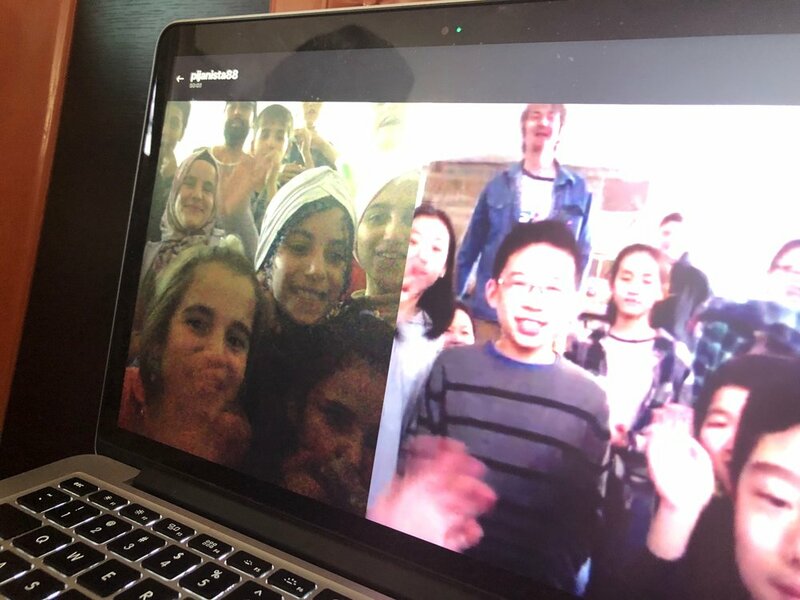 Owais started off by giving the kids a brief introduction to who I was, and told them how I wanted to write my second book on the Syrian civil war. I then got to spend around 20 minutes in each caravan and meeting all the kids. I gave them gifts I'd brought them; candy and colored pens, and we drew, laughed and talked together. The kids didn't speak English but I speak Arabic. Although we don't speak the same dialect, I know some Syrian words and phrases and we were able to communicate pretty well. Reem and her new book! One of the first girls I met was Reem, an 11 year old girl who holds so much curiosity and intelligence in such a tiny body. She showed me around and drew a picture of her school for me. I was so impressed by her passion for learning, kind heart and ability to speak English. I gave her one of the signed copies of my book, Spirit of the Wind, that I had with me. I told her that she could practice reading English this way. She was so happy and cradled that book to her chest for the rest of the day. Reem inspired me, and she was everything I wanted in a main character: sweet, brave and determined. I knew the main character for my book would be based somewhat around her. Group pic with my new friends! I love these kids so much. I went around the classroom, meeting the other students and drawing pictures with them. Most of the kids were from Homs, Syria and had crossed the Jordanian border when it was still possible. The border was closed now. I asked them how their lives were before the war, and they told me it was great, or perfect. They spoke of Syria nostalgically, with a wiseness beyond their years. They all told me they wanted to go back when the war was over. I smiled, because I knew that when they did, they'd be the ones to rebuild Syria. I asked them if they preferred Syria or Jordan, and most of them said "both!" One girl told me she considered Jordan her second country. My dad and I then spoke with the older kids, learning more about their lives before the war and listening to their stories. Refugees aren't scary. They are kids that have temporarily lost their homes to war. And they are the most incredible kids I've ever met. Sweet, smart and funny, yet they all encompass these old souls because of the things they've seen and experienced. Meet Ibtisam: a mature and playful 12 year old. She was always joking with us and her friends, yet told me with all seriousness that she wanted to be a doctor when she got older to help people. I told her that I wanted to do that as well. Who knew, maybe someday we would both work together with an organization like Doctors Without Borders and help those stuck in a humanitarian crises like this one. Such an awesome kid! That smile though. This is a 13 year old boy who has been through more than any person, let alone child should go through. And he's always smiling, and so optimistic despite the awful things he's lived through. He told us how his family had been living in Syria with no real intentions of leaving, until an airstrike killed his two brothers. His family decided to leave and they spent three days traveling by bus before they finally reached Jordan. The family spent a few days at Zaatari refugee camp, the biggest refugee camp in the country, and eventually found their way to the town of Azraq, where they now reside and their son goes to school, thanks to the work of The Syria Fund. I also met a 14 year old girl who was very shy, but incredibly sweet. She opened up to us and explained how her uncle was killed in Syria and she witnessed an airstrike happen right in front of her. Since then, she's suffered psychological trauma and gets scared whenever she hears an airplane (this happens a lot since planes from the nearby military base fly over the school all the time). She began crying while she spoke to us, and my heart broke for her. I look forward to the day when she will finally be able to sleep without her dreams being plagued by nightmares. Delivering food boxes, house by house! I met more kids and heard more stories, but those are better left for another post. Too soon, it was time to leave. Owais took us to visit some refugee families who were living in difficult situations. Some of them were handicapped, most were very poor, all were victims of a terrible war. I spent the afternoon delivering food boxes to them. Before I'd left for Jordan, I had raised money with a Crowdrise fundraiser and linked it to The Syria Fund so they got all the money. Thanks to so many generous donors, I was able to raise over $800. With that money, we were able to buy food boxes to feed these families. They thanked me, hugged me and invited us in for tea. They didn't have much, but they wanted to give us the little they did have. I was so moved by their kindness, and above all, their resilience. Money is always needed, so if you want to help, here is the link to my fundraiser: Help me Improve the Lives of Syrian Refugees . Any amount helps, and as you can see, 100% of the money goes directly to refugee aid. The following day, back in Amman, we worked with a Syria Fund volunteer named Maher. With about 7 others, we stuffed about 100 backpacks with school supplies. The rest of the money that I raised was used to purchase all these supplies! Now, the kids would have material to learn with. I met some incredible volunteers while I was there, including Julie, Maher's wife. She was French but lived in Jordan. She had us over for tea and explained to us that she worked for the Middle East Children's Institute and would love to have me help her next time I was in Jordan. For sure, we will make that happen! We spoke about the refugee crisis, our visit to the Azraq school, future projects, and more! The finished product. Stuffed and ready for eager students! This has undoubtedly been the most incredible experience of my life where I discovered my passion for humanitarian work. I'm grateful to The Syria Fund for giving me this opportunity. I'm grateful to the volunteers who work hard daily to better humanity; I strive to be like you. 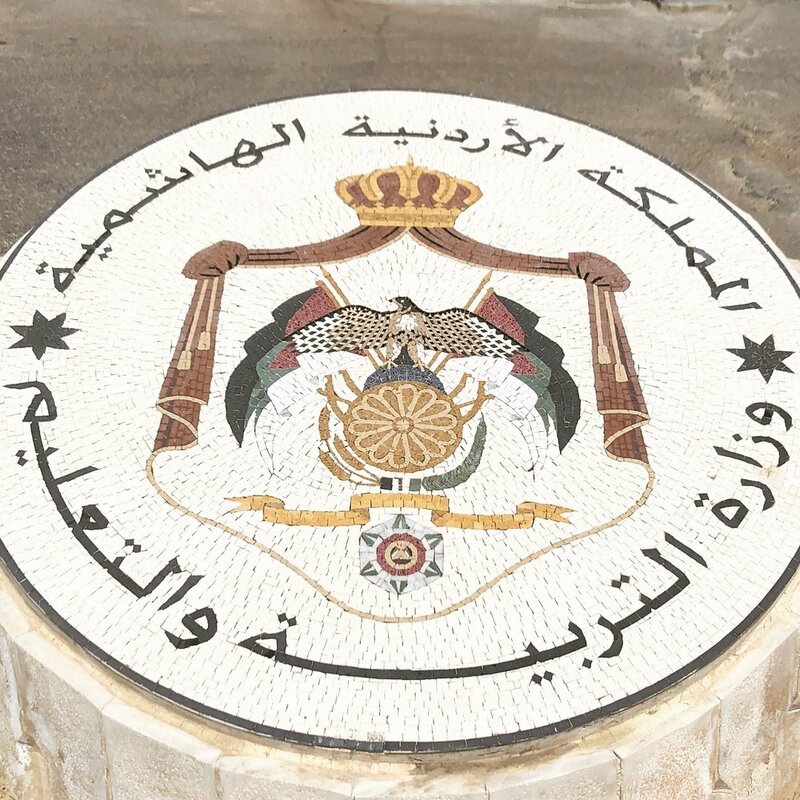 I'm grateful to the beautiful Hashemite Kingdom of Jordan for taking in so many refugees and providing them with a place they can call their second home. Most of all, I'm grateful to those that opened their hearts to me and trust me with their stories. I promise to do my very best to bring them to life and make your voices heard. This has only made me want to work harder to provide for refugees, and I can't wait to do more for them in Jordan very soon. I aspire to help The Syria Fund in even bigger ways next time. Together We Showed That We #CantDoNothing! This year, in honor of World Refugee Day, more than 330 people joined our campaign to say that we #CantDoNothing about thousands of refugee children missing out on their education. In just a couple of days, and with an extremely generous matching contribution from an anonymous donor, we raised over $20,000!! Special thanks to Milana Vayntrub for her powerful #CantDoNothing message and to Kristen Bell, Reza Aslan and more for helping us get the word out! What You Can Do To Stay Involved! Set up a monthly recurring donation to The Syria Fund! CLICK HERE to do so! Spread the word! Like us on Facebook and Instagram and share our message with your family and friends! Learn More About The Syria Fund! Thank you again so much for your amazing support! World Refugee Day is June 20th! The Syria Fund teamed up with Can't Do Nothing to give you an easy way to make a difference for Syrian refugee children in Jordan today. Tens of thousands of Syrian refugee children in Jordan are missing out on years of their education. This World Refugee Day, tell your friends why you #CantDoNothing and take action to make sure that refugee children have the chance to go to school. Share a picture on social media with the hashtag #CantDoNothing and invite five friends to participate. Together we can create a ripple effect of good and prevent a lost generation. 2. Add your photo, follow the prompts to post on FB and share with your friends! 3. Watch the impact - Cheerity.com allows you to view how far your good will go! This past month, we distributed hundreds of food boxes and hygiene kits. We got kids singing and dancing and we hosted not one, not two, but three music events for students, families and community members! 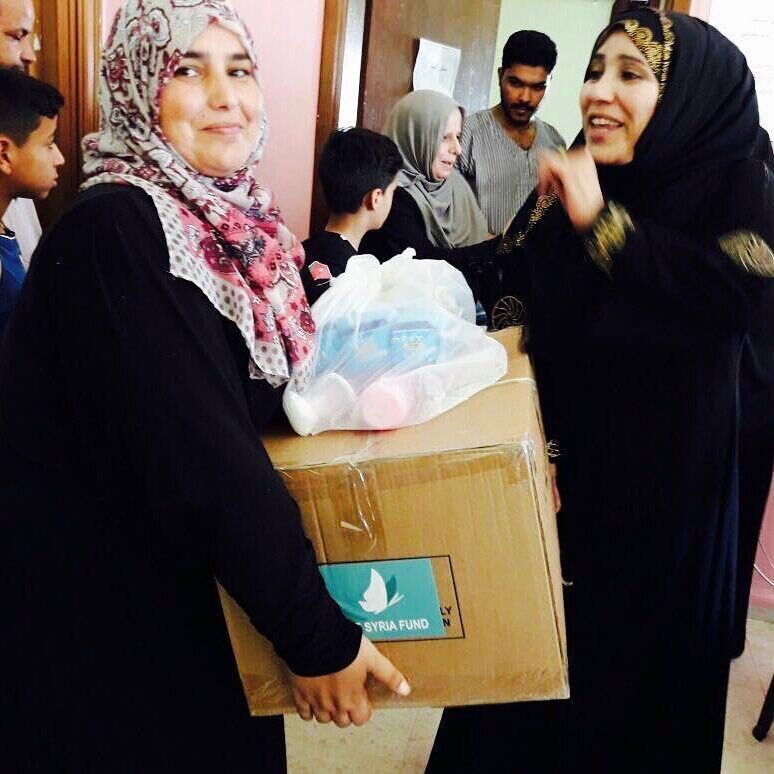 This month, for Ramadan, we're getting ready to pass out hundreds of food boxes for families in need. Everything we do is possible because of YOUR donations -- and you are making a huge impact for so many Syrian refugees living in Jordan! Read on to learn more about the activities you've been supporting! Stay Involved! Make A Recurring Donation to The Syria Fund! In early May, we asked you to contribute $10 each to purchase and distribute essential hygiene packages to Syrian moms for Mother's Day. You responded! In less than a week, we raised over $3,000 to assemble 300+ bags that went directly into the hands of mothers who needed it most. This is really as direct as it gets! We believe in the power of music! Since we started the Songs for Syrians music program in June 2016, we've been teaching musical instruments and music composition to nearly 200 students! The efforts of the past year culminated in an incredible, intensive music week held in three schools for 250+ kids from May 14-20. For 5 days, we learned new beats, composed original songs and performed skits! We are spreading hope through music and sharing cross-cultural traditions with our students. You can really see the light in our students' eyes when we give them the tools to express themselves through the arts. Stay tuned for a recap video of the 2017 #SongsForSyrians Music Week! Ramadan Mubarek! The Muslim holy month of Ramadan started last week and families across the world will be fasting from sun up to sun down every day for 30 days. Ramadan is typically a joyful time of year to reflect and spend time with family and friends. However, many refugee families in Jordan struggle daily to make ends meet. These food boxes will bring them both the nutrition they need and the dignity they deserve this holiday season. Food boxes cost $30 per box and include Iftar (evening break fast meal) and Suhoor (pre-dawn meal) items to last a family for two weeks! Gift A Ramadan Food Box For $30 Today! Thank you for all that you do! We are making sure that every dollar that you donate has a direct impact on the families we serve. Whether that means handing out a food package to a family in need or employing a teacher to make sure 30 kids are learning every day, we are committed to making direct and meaningful contributions to better their lives. Stay involved with us! Consider making a monthly contribution to The Syria Fund! Make A Recurring Donation To The Syria Fund! Songs for Syrians: Our Team Is Going To Jordan! The Songs for Syrians 2017 Music Week is coming up May 12-20. Read on to learn about our plans! We can't believe it has been three months since we all gathered together in New York City for the Songs for Syrians fundraiser! That night, we raised $21,000 that to help expand our music program for Syrian refugee children in Jordan. As part of the program, we've tapped into the expertise of Nina Stern and S'Cool Sounds to bring an intensive week of music education to the students and teachers at 4 different schools across Jordan. Concert musician and founder of S'Cool Sounds Nina Stern has been hailed as an innovator in teaching school-age children to be fine young musicians. Nina has shared her teaching methods with students and teachers throughout the U.S. and in the Netherlands, and has spearheaded recorder programs in the Kibera slum of Nairobi, Kenya, Kigutu, Burundi and in multiple classrooms for Syrian refugee children throughout Northern Jordan in partnership with TSF. Owais has been working with The Syria Fund as a music teacher and program coordinator since September 2016. He is an accomplished guitar player, singer and educator. In addition to his work with refugee students, Owais plays in two different bands and helps TSF and our partners keep our programs on track and ever improving. Spiff plays over 20 instruments as diverse as accordion, didgeridoo, and violin. As a one man band he even plays up to 7 simultaneously (see the videos on YouTube). He regularly performs in a wide variety of styles like Western Swing, Contra Dance, Country, French Musette, Rock and more. He's taught music to youth from 3 months to 18 years and has designed curricula for classes in improvisation, practicing, body percussion, and frame drums. Click to learn more! Lexi was inspired to start The Syria Fund after spending time living and studying in Damascus, Syria throughout 2009 and 2010. As Executive Director, Lexi works closely with TSF's partners on the ground and donors from across the U.S. and around the world to bring people together and programs like Songs for Syrians to life. Sahab: 45 minutes south of Amman in Sahab, TSF runs weekly music classes as part of MECI's 2nd shift education program in Jordanian public schools. Click to learn more. Al-Rahba School: 115 students attend the Al-Rahba School in rural NE Jordan through our partners at the White Hands Association. TSF is excited to launch the SFS program at Al-Rahba this Spring! Click to learn more. Azraq School: TSF's music team is excited to return to the Azraq school this year where we initially launched the SFS program in 2016. Click to learn more. To build upon the great work that our music teacher Owais has been doing with the children, and to take them to the next level, Nina and Spiff are designing a special curriculum that will include new songs and techniques for the recorder, instrument building, hand percussion and more! The instructors will have specific time with classroom teachers to expose them to the benefits of using music in their everyday lessons. At the end of each school’s session, the students and teachers will have the opportunity to perform for their peers and celebrate their accomplishments! Music is a proven method to help children learn in so many ways. The students in our programs have endured so much -- from fleeing their war-torn country to missing years of school due to lack of access. Music is a way for them to reconnect, use their brains in different and unique ways, and just have fun! You can learn more about all the ways that music benefits a child's education HERE. We’re so excited for the 2017 SFS Music Week and we hope you’ll follow along! We’ll be posting from our social media handles on Facebook and Instagram. Make sure to join us! Thanks for your continued support! This is all possible because of YOU! DONATE TO THE SYRIA FUND TODAY! 2017 has been off to a great start at The Syria Fund! 120 kids now attend school at the White Hands School in rural Badia Shmaliya in Northeast Jordan. A new library and librarian are now at the school, bringing fun activities that inspire our kids to read every day! 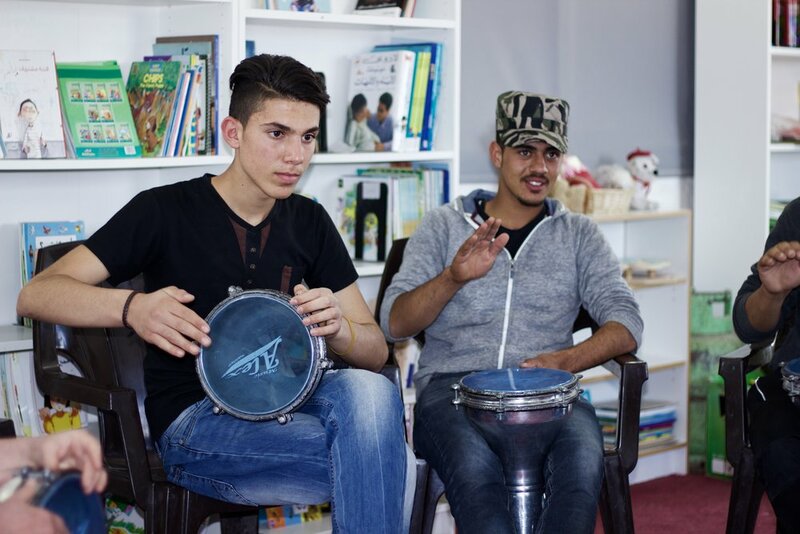 We are also excited to start music classes at the school this Spring as part of our #SongsForSyrians music program! At the Azraq School, students started a small rooftop garden, planting local trees in recycled tires. They were so excited and proud of this project, that we are now laying the groundwork for a proper community garden! We’ll be using the talents of a local farmer named Heyel to create a sustainable, water-efficient garden in recycled water tanks. The kids will learn about growing and harvesting vegetables and herbs like eggplants, tomatoes, mint and parsley! Big thanks to the EcoKids Kindergarten class in Amman for raising money to start this garden project! 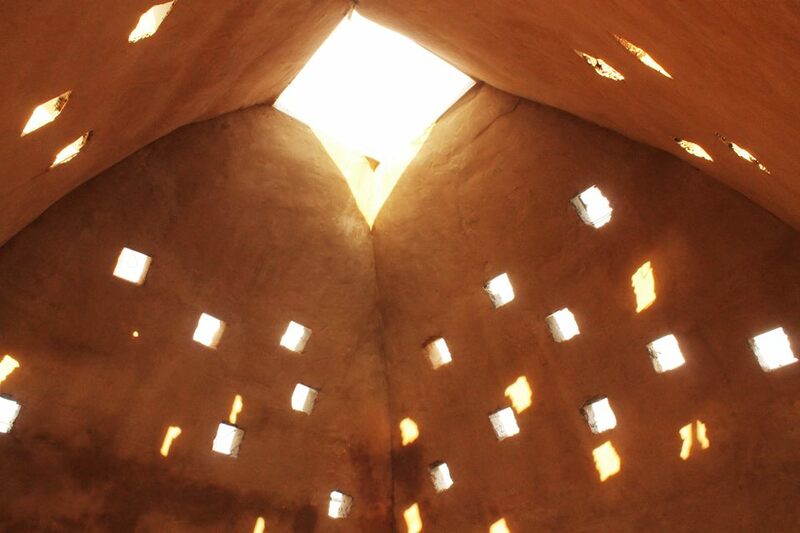 Many of the children at the White Hands school live in tents in very remote desert areas. When we first partnered with the White Hands Association, none of these children were going to school at all. In late 2015, we created tented classrooms in their communities to address this immediate need. Today, these students are able to ride to school in a bus, attend classes in a proper classroom, and have access to a library and extracurricular activities. This amazing success story is all thanks to YOUR support! The Syria Fund continues to work closely with our partners at the Middle East Children’s Institute (MECI) to bring life skills trainings to Syrian and Jordanian teenagers. Teenagers can be especially hard to reach in refugee communities as they often have to work to support their families. Life Skills trainings teach them self-confidence and the value of leadership and community organizing. Recent TSF-supported Life Skills trainings brought together Syrian and Jordanian boys to beautify their neighborhood with a small garden! 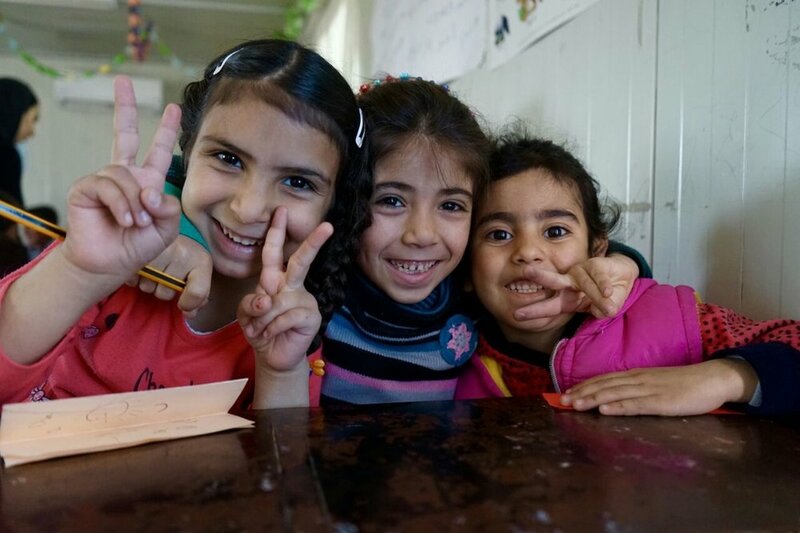 Your support allows us to run these programs for hundreds of Syrian children in Jordan. From supporting teachers to buying school supplies to hosting extracurricular activities like those mentioned above -- every dollar makes a difference! Help us keep these programs going! DONATE to The Syria Fund's Education Programs! Catherine Ashcroft, founder of Helping Refugees in Jordan (HRJ), started collecting discarded items from friends and families in Amman, Jordan and bringing them to communities with large refugee populations. Quickly, her garage became a massive sorting center, housing items for distribution. What began as a minor volunteer effort has blossomed into a charity that helps thousands of refugees with direct aid and sustainable programs across Jordan. Zeinab Al-Zubaid runs The White Hands Association, a local charity in Badia Shmaliya, an area in rural Northeast Jordan. Many Syrians have fled the war to take refuge in this extremely rural, desert area. 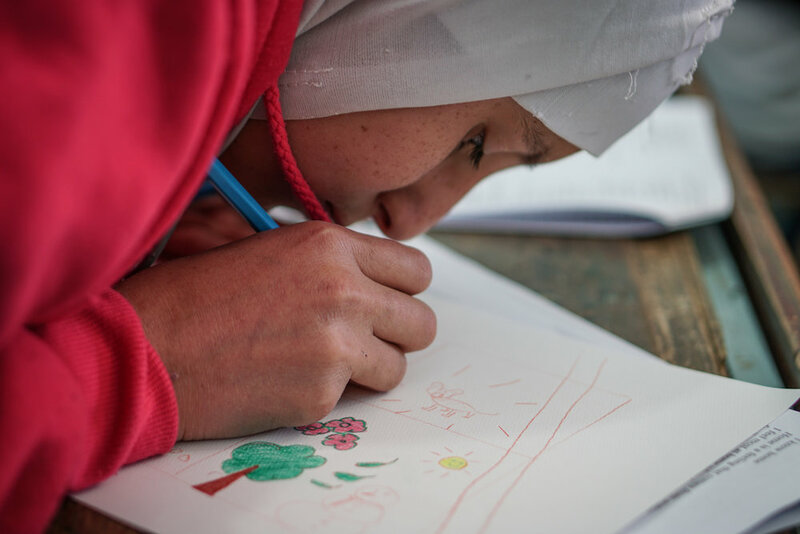 With the help of The Syria Fund and HRJ, Zeinab's charity established multiple education spaces for the 100s of kids with no access to schools. The White Hands Schools for Refugees now reach nearly 500 students! Milana Vayntrub was vacationing in Greece when she saw first-hand the extent of the refugee crisis spilling into Europe. Rather than ignoring what she saw, she took action, extending her ticket to go volunteer and ultimately starting the #CantDoNothing movement. Milana has helped raise thousands of dollars for TSF's education programs and is an amazing advocate for refugees and role model for all of us! At the Azraq school in Jordan, The Syria Fund supports full time teachers who educate over 100 Syrian refugee children in Arabic, Math and Science. Miriam was hired as a teacher three years ago after fleeing Syria and is proud to bring knowledge to her 26 students every day. Thanks for reading! As always, everything that we do is because of YOUR generous support! THANK YOU! Keep up your amazing work -- make a donation to The Syria Fund today and LIKE us on Facebook to stay up-to-date on what we're doing! We are SO proud of our fourth grade class at the Azraq school who wrote and composed their own song! Enjoy! Learn more about our Songs for Syrians program HERE. Happy New Year! 2016 had a lot of ups and downs but we couldn't be more proud of everything that has happened at The Syria Fund this year. That is why we are so excited to present you with our FIRST annual report! As you read about the major accomplishments of our first 15 months of existence, please consider making a donation to The Syria Fund as part of your end-of-year giving. In the first year of The Syria Fund, we learned and accomplished so much and we have felt the full range of emotions. Working with our partners on the ground in Jordan, we have met and heard the stories of families in heartbreaking situations and also felt the immense joy of helping to lighten the load for so many in need. We built a community of supporters from across the United States and around the world who lend their support because we all believe that families deserve a safe place to call home and every child deserves a chance to get an education. We have been so touched by outstanding generosity of all of you, our donors, who come from nearly every state and across the world. Every food parcel, every warm blanket, and every smile on the face of a little boy or girl back in school for the first time in years is possible because of your contributions. From the young supporter who sewed stuffed animals by hand to the classroom of third-graders who performed Syrian melodies on the recorder to share with our refugee music students in Jordan to the dozens of volunteers who helped with everything from designing mailers to tax advice, we have been humbled by the selfless desire of so many to make an impact. Together, we can grow The Syria Fund, expand our programs, and reach across the world to positively impact the lives of thousands and remind them that they are not forgotten. From the bottom of our hearts, thank you! Click here to make a donation to The Syria Fund! Thank you for an amazing year! Here is to a more peaceful and joyful 2017 for Syrian families and all others around the world who need it most.